Wembley Stadium, Camp Nou, Yankee Stadium and Madison Square Garden are considered among the greatest sporting arenas in the world, but for history, pure drama and emotion, it’s hard to look past the Melbourne Cricket Ground (MCG). The MCG was built in 1853 and, since then, has established a marvellous history that compares favourably with any other in the world. Known colloquially as “the ‘G”, Australia’s favourite stadium is the birthplace of Test cricket and the home of Australian football, holding more than 80 events annually and attracting close to four million people. It has hosted more than 100 Test matches (including the first in 1877) and VFL/AFL Grand Finals. The MCG was the main stadium for the 1956 Olympic Games, hosting all track and field events, as well as the opening and closing ceremonies. 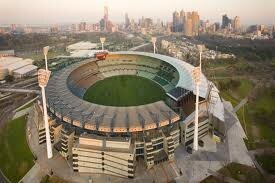 In 2006, the MCG again played this role, this time for the 2006 Commonwealth Games. Other sporting spectacles that have been held there include Australian World Cup soccer qualifiers, rugby league home and away matches and State of Origin, international rugby union and Austral Wheel Races. 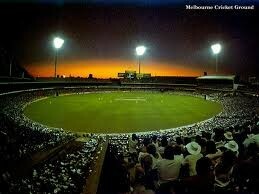 The MCG is a 365-days-per-year function facility that is as versatile as any stadium in the world. Apart from its sporting events, the MCG has staged many blockbuster music concerts, including Madonna, U2, Michael Jackson, Rolling Stones and The Police, and even Pope John Paul II held a mass there when he visited Melbourne in 1986. Managed by the Melbourne Cricket Club, the MCG is also home to the National Sports Museum, Australia’s finest repository of sporting artefacts and history. People from all over Australia, and indeed all over the world, speak reverently about the MCG, a ground that is as well known as any other. Victorian sports fans can recount ample examples of games and events they have been part of at the ground, and it has a world-class reputation as a leading multi-purpose stadium. As well as a world record for the most people to ever attend a baseball match during the 1956 Games, the VFL/AFL Grand Final record attendance was an amazing 121,000 people for the 1970 decider between Carlton and Collingwood. With the recent redevelopment of the northern side of the stadium complete, the MCG now boasts of a total capacity of 100,018. Another fine feature of the MCG is its close proximity to the Melbourne Central Business District, with just a short train or tram ride required to reach the arena.